This once-sleepy shopping district is experiencing a revival that may bode well for holiday shoppers. Above: Stephen Metcalf, “I Don’t Know Why He Chose Me” (detail); oil on paper, 22 by 30 inches. Metcalf’s works can be found at Olson-Larsen Galleries, a mainstay in Valley Junction that represents about 55 regional and national artists. If 2017 was any indication, the 2018 holiday shopping season is poised to be one of the best yet. Low unemployment, increasing wages and a rising stock market led to record holiday spending last year, according to the National Retail Federation. Confidence in the economy coupled with a willingness to open their wallets suggests consumers will be hitting the stores with zeal this year. But while shoppers are on board to spend, two trends—an increase in online shopping and the erosion of once-mighty department stores—indicate they may seek a more convenient, personalized and unique shopping experience. This is great news for retail districts like Valley Junction in West Des Moines. As it celebrates its 125th anniversary in 2018, Valley Junction is experiencing a revival that may bode well for holiday shoppers. Jim Miller, executive director of the Historic Valley Junction Foundation, says the district’s eclectic mix of retail, professional services, and food and beverage options is bringing new faces to the area like never before. From July 2017 to June 2018, Valley Junction welcomed 11 businesses that were new, relocated or expanded, Miller says. During that same time, 48 building renovations and rehabilitation projects signaled business owners’ willingness to invest in the historic area rather than seek out newer options elsewhere. Ann Harmon is one of the business owners who moved to Valley Junction. Harmon, owner of From Our Hands, relocated in March from the East Village to 136 Fifth St. She says the move came after 12 1/2 years at the corner of East Fourth and Locust streets. Kids will be both comfy and cute when outfitted in pajamas and other children’s apparel from Sisters in the Junction. The shop also sells a high-quality and well-selected mix of women’s accessories, candles and personal care items. Photo courtesy Sisters in the Junction. “My lease was up in 2020, and Sticks had first option on my lease,” Harmon says. “I didn’t know if I had a spot. From Our Hands is an “American craft gallery” according to Harmon, selling pottery, glass, jewelry, sculpture and other handmade objects, some from local artists. Valley Junction has proved to be a good fit for the business, she says. Susan Watts, owner of Olson-Larsen Galleries at 203 Fifth St., says the mix of old and new retailers not only keeps the area fresh and appealing to shoppers, but also to the business owners themselves. Sip & Shop—Girls’ Night Out: Nov. 1 and 8, 5-7 p.m.
Shop and socialize after hours at participating stores. Small Business Saturday: Nov. 24, all day. Jingle In the Junction: Nov. 29, Dec. 6 and 13, 5-9 p.m. The businesses and streets will be lined with over 150,000 lights. The event also will include horse-drawn carriage rides, Santa Claus and caroling. The next time you’re in Valley Junction, check out the neighborhood’s newer stores, as well as old favorites, starting in the 100 block of Fifth Street and strolling your way north. With a focus on midcentury modern design, owner Steve Mumma packs his antiques shop, a longtime neighborhood staple, with an eclectic mix of merchandise. Big items like jukeboxes and furniture live next to vintage toys, jewelry, clocks and ceramics. As you browse all the fun finds, it’s easy to lose track of time. 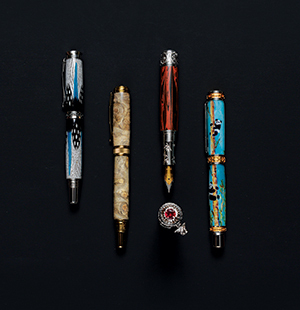 Beautifully crafted pens made by owner Rob Beers at Quill & Nib. 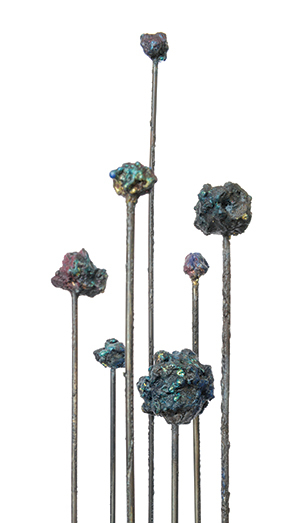 Brutalist sculptures by nationally acclaimed artist James Bearden command attention at From Our Hands, which also offers works by other well-regarded regional artists. Find whimsical kitchen goods and other specialty gifts at MoMere. Sisters expertly, and impressively, mixes diverse lines of well-selected merchandise. High-quality women’s accessories, including Hobo and Baggallini purses and Mariana jewelry, share space with top brands in baby apparel, toys and gifts (KicKee, Petunia Pickle Bottom). Another focus: an enticing variety of candles, lotions, soaps and home fragrances by such brands as Caldrea, Pre De Provence and Voluspa. This artist-owned contemporary fine art gallery—founded in 2015 by partners Annie Temple, Louise Mcilhon, Mary Kline-Misol and Victoria Herring—exhibits and sells the works of select Iowa artists in a range of media, including fiber, photography, painting, sculpture, jewelry, glass and pottery. In addition, the gallery hosts book readings, lectures, classes, workshops and art demonstrations. 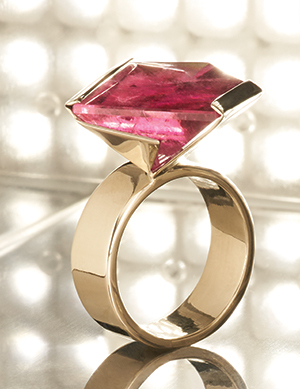 Top contemporary brands in women’s clothing and accessories can be found at Renee’s. 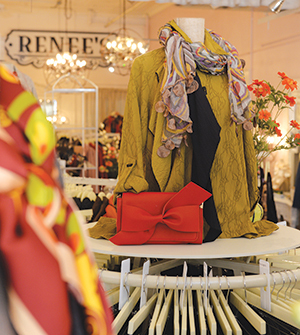 With an inviting environment that recalls an Old World French country boutique, Renee’s specializes in contemporary brands from the United States, Canada and Europe, such as Simpli, Khangura and Dolcezza. You’ll find everything from flirty dresses and bold geometric-patterned jackets to basic yet elegant tees and pants, along with an appealing collection of accessories and jewelry. Another draw of shopping here is the personal service you receive: Owner Desiree Renee Johnson, who opened the boutique in 2017, is exceptionally helpful and refreshingly honest—she’ll make sure you go home with the right styles and the right fit for you. Dedicated dance teacher helps kids build confidence, step by step. Get your copy of our special anniversary issue!